Thumbelina the Squirrel as a pup. 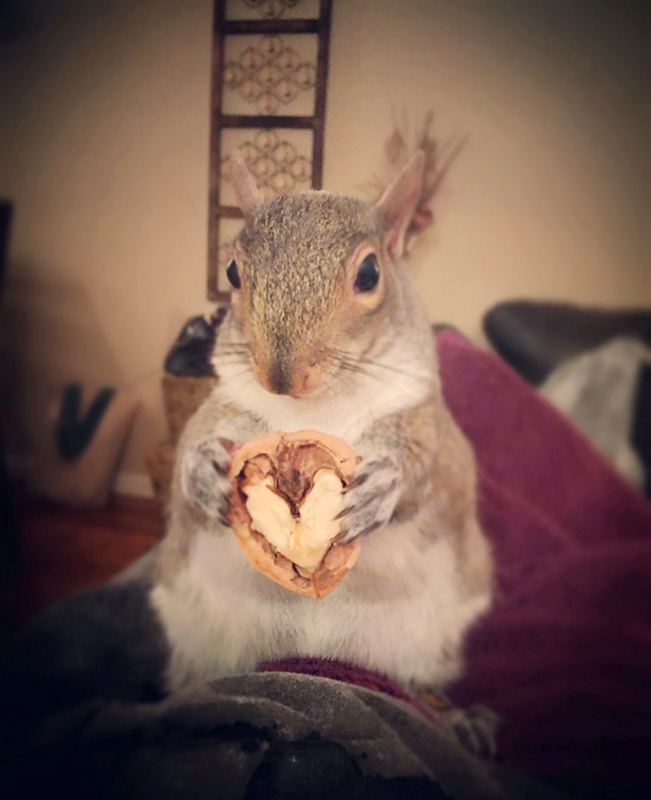 Meet the pampered hand-reared pet squirrel that watches TV, wears face masks and enjoys snuggles on the sofa with her rescuer. 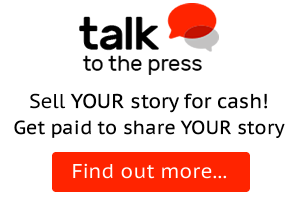 Christina Reyes, 35, has spent two and a half years and $10,000 (£7,500) raising little Thumbelina after she was found in a tenth floor apartment. Thumbelina and another baby were found in a pile of leaves and twigs on a homeowner’s bed after being left there by their mother. 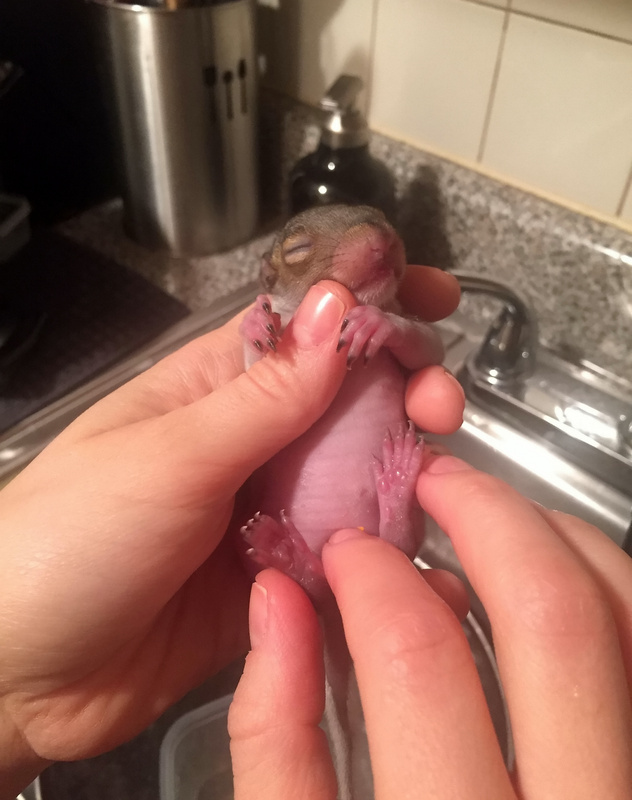 The resident called Christina, who has rehabilitated orphaned squirrels since 2008, and she rushed over to tend to the tiny animals, then just a few hours old. 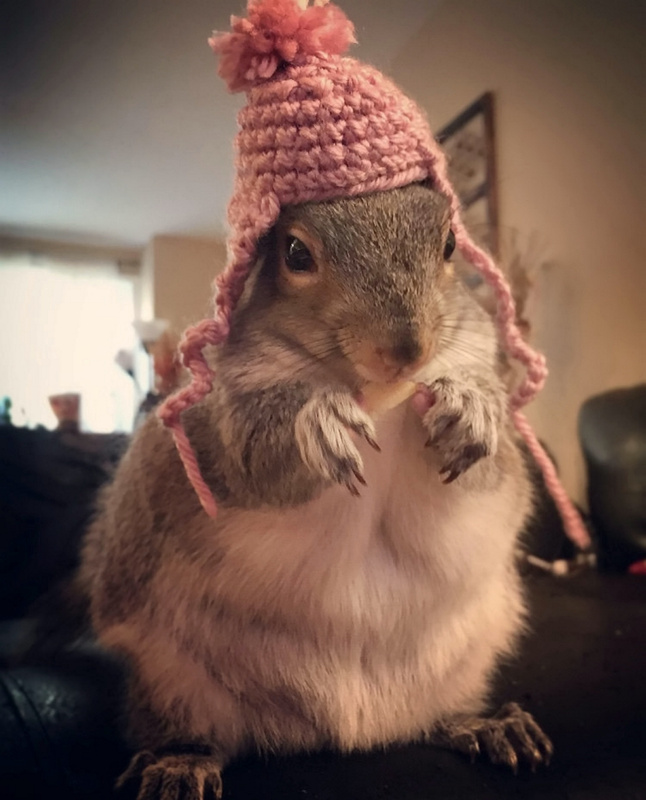 Christina and her husband Michael, 37, a high school English teacher, nursed the squirrels back to health and fed them formula through a syringe. Sadly one of the babies caught a fever and passed away a few hours later, but Thumbelina – so-called because of her tiny size – pulled through. When the time came to release her into the wild, the couple feared Thumbelina wouldn’t survive because she couldn’t jump or climb. Instead, the animal lovers built a bed for the adorable rodent and welcomed her into their lives full time. 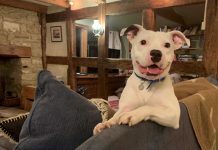 Now spoilt Thumbelina spends every night cuddling them on the sofa and enjoys human activities like watching TV, doing face masks and eating avocado. 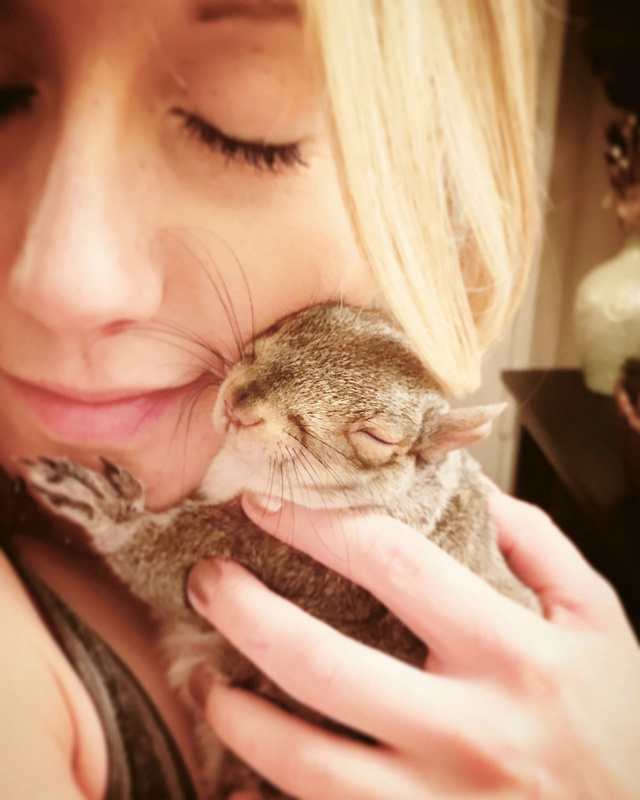 Christina, who doesn’t want children, said the rodent – which owns squirrel-sized hats and glasses – is her “baby” and “best friend”. The fitness instructor, from Mahopac, New York, said: “I love Thumbelina so much. 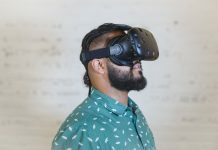 “My husband and I knew that we never wanted children. Thumbelina is our baby. “She’s my little best friend, every day I look forward to spending time with her. “When I’m feeling low, she comes over and snuggles with me. 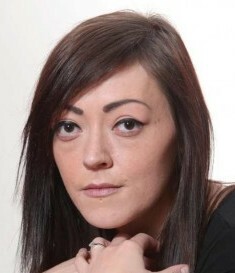 “My family are used to me being an animal person but my husband’s family was quite squeamish about it. “But now they have come to accept that Thumbelina is our baby. They even send her cards. “She is a little troublemaker. She loves to bite a charger, the buttons on a remote, and headphone wires. The couple first met Thumbelina in March 2016 after she was found in a Bronx, New York, apartment. Christina said: “The mother was standing on the window sill, twitching her tail and freaking out because he was touching her babies. “She kept bringing in nest building materials but she wasn’t taking her babies back. 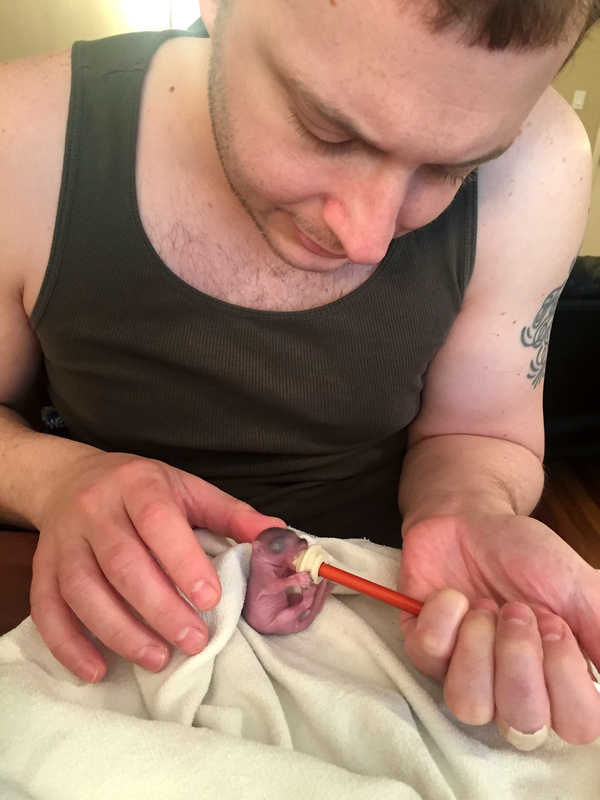 After nursing her back to health, the couple named the critter Thumbelina because she was so tiny. 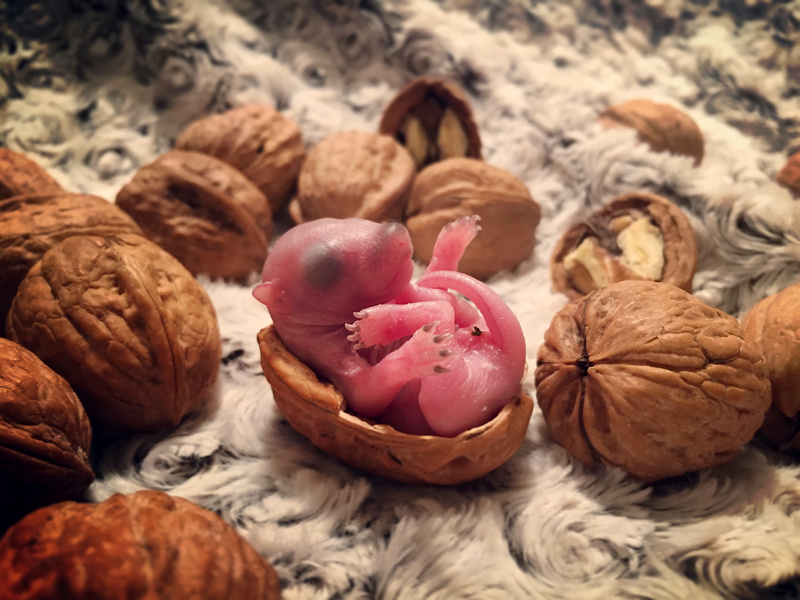 She said: “When she was just three days old, my husband cracked open a walnut and said: ‘I bet we can fit her inside the shell’. 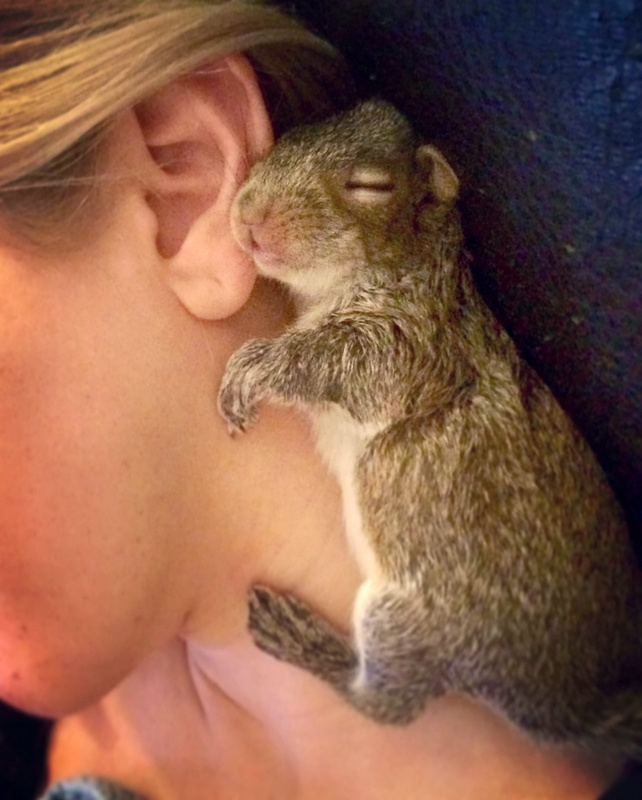 She added that Thumbelina is not “outside squirrel material” and needs a lot of TLC. 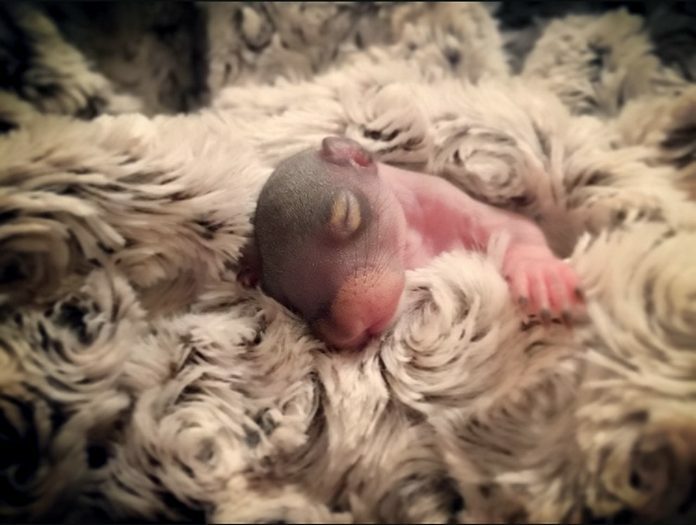 The animal lover said: “When we tried to introduce her to other squirrel babies, she isolated herself. “She curled up into a ball and she wanted nothing to do with them. “She walked on the ground, she didn’t like to climb or jump, she followed us around. “She’s afraid of everything. We brought her to the park and she acted like it was a haunted house. Thumbelina the Squirrel who lives in New York with Christina Reyes. Christina has spent around $10,000 on little Thumbelina so far, splashing out $50 a week on her diet of fresh kale, arugula, spinach, snap peas and avocados. Just last weekend, Thumbelina was wheeled into surgery to have a $2,000 hysterectomy, leaving Christina racked with worry. She said: “Thumbelina gains weight very quickly. She weighs just over two pounds and really she should be between 1.5 and 1.75. “All her life she’s been a little chub with a pot belly. She is on a strict diet of kale, greens and squash and no nuts. “The vet said that her progesterone levels were too high and her little uterus was enlarged so she should have a hysterectomy. “I was hysterical because she’s my little baby. She’s so small and there were concerns about anesthesia. 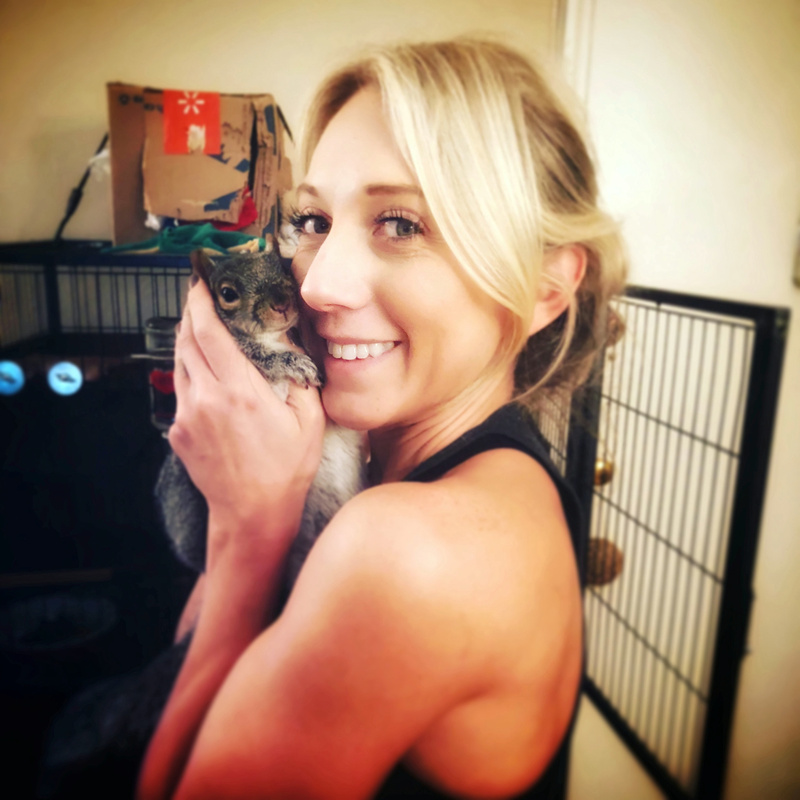 Christina added that although some people consider squirrels to be rodents, they deserve human care and attention just as much as more conventional pets do. 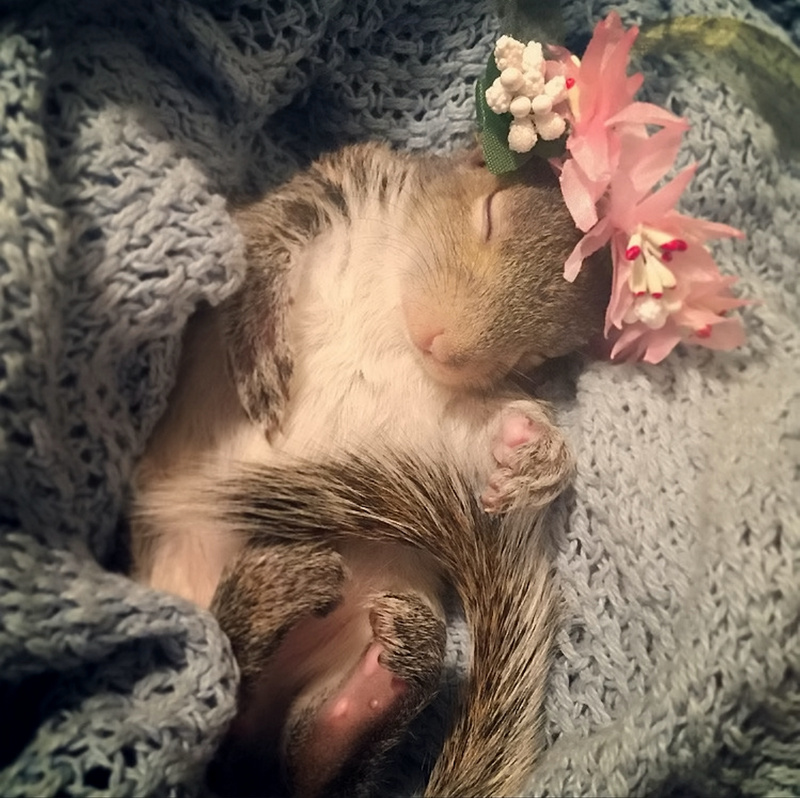 She said: “People see squirrels as dirty rats, but Thumbelina has such a strong, endearing personality.